Whilst preparing for the next Skype Show I was exploring if anything had changed on my tenant in light of the announcements made at Enterprise Connect back in April. For those who follow the Skype Show (www.theskypeshow.com) you will know I use Skype Broadcast Meetings as the main technology for these shows. So the announcements made at EC16, notably the Q&A functionality for Broadcast Meetings was particularly useful to me. If you have ever used Broadcast Meetings, you will know that trying to engage with your audience is quite a challenge. Sure we have the ability to integrate Yammer, but this relies on the audience having a Yammer account, and then understanding enough about Yammer to join the group. This is a major put off, and people who want to engage are often put off by this. 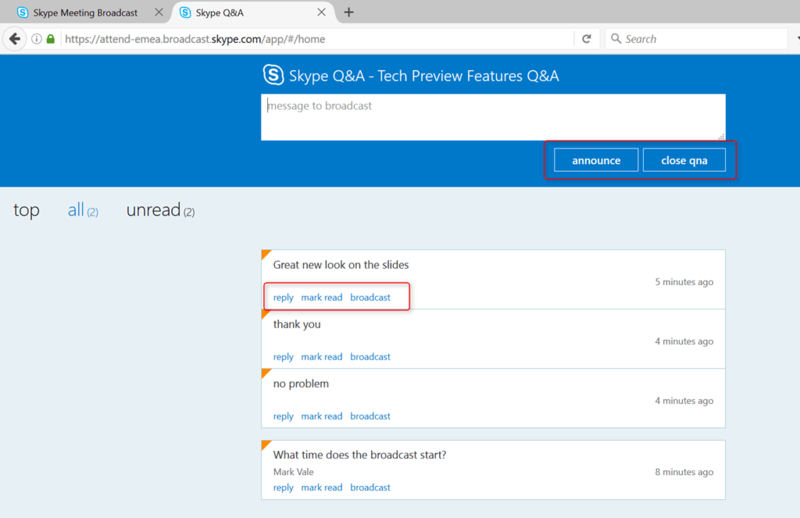 Broadcast Q&A will improve engagement 100% and I cannot wait for this feature to arrive! And it has! At least in Technical Preview and much to my excitement! First off I discovered that on being accepted on the preview I had a new PowerShell parameter I could set against by Broadcast Meeting Configuration called EnableTechPreviewFeatures. By default this is FALSE. So I changed this to true and waited 1 hour for replication between Office 365 and Broadcast Meeting Portal. When this enters mainstream I expect to see a parameter here allowing Q&A specifically, or not. So what does this look like to an audience member? A few observations off the bat, we can choose to ask a question using my name, or anonymously. If using name, then you must be joined as a signed in account, if you are joining an anonymous meeting, you can only ask anonymously. You can ask questions before the broadcast starts, during and after (unless closed by a moderator). 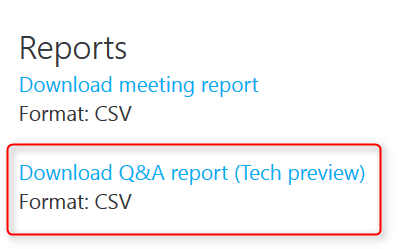 Do the presenters see the Q&A in the Skype client like Lync meeting Q&A? No, but this is a good thing, because as a presenter you don’t want to be distracted from your presentation. So what ‘s the formatting like? So how do moderators join the Q&A? 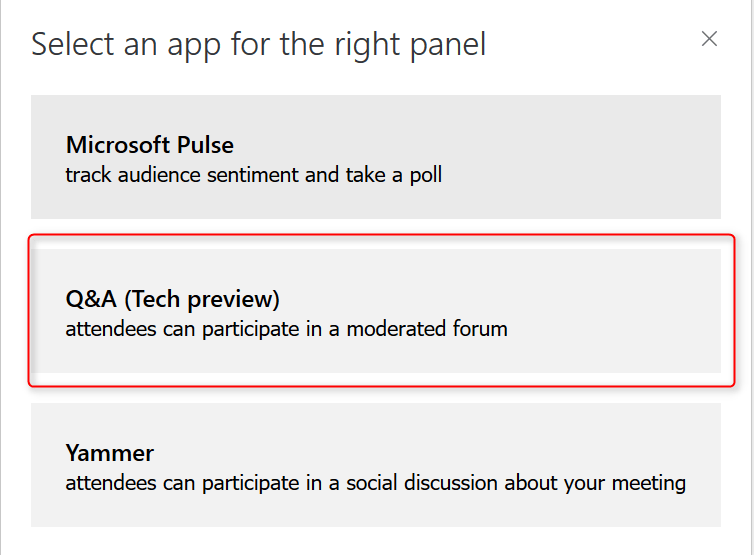 From the broadcast portal click on the in progress meeting, under attendee settings you see an option to open Q&A. This opens the moderator site. Here the moderator has more options. The first function is to call out the use of the “close qna” button. If you do not want Q&A to start prior to the meeting start then close the Q&A after meeting creation. If can be opened and closed multiple times. The moderator has the opportunity to mark questions as read and reply to questions as you would expect. The next feature to point out is the ability to broadcast a question. However, at the time of writing it looks like Microsoft are still refining this..
From the exploring I have done so far, this is a real win for broadcast meetings and I cannot wait to try it out on the next episode of the Skype Show. Another feature sneaking its way in is now we have the ability to choose whether or not we want to allow after meeting playback. Previously we could only choose to enable recording or not. Enabling recording allowed playback during and after the broadcast. You can even change this setting between allow and deny post event which is a good idea!